Self-adhesive tape on the carrier PVC (polyvinyl chloride), commonly known as “vinyl,” it sided adhesive tape made ​​of natural rubber. High adhesion and good adhesiveness allow its use in a variety of physical conditions. 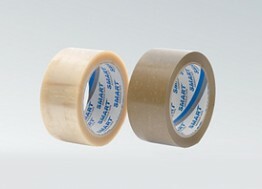 By using pvc tape media is characterized by a “silent unwinding”. Sealing cartons by hand is one of the many areas in which PVC tape was applied.